V-A-C-A-TION. Better late than never, right? I didn't have a summer vacation this year, but very soon (56 hours of work time, but who's counting), I’ll be off for 17 glorious days! We were supposed to go to Paris right about now but for reasons beyond our control, we’ve had to postpone the trip until April. 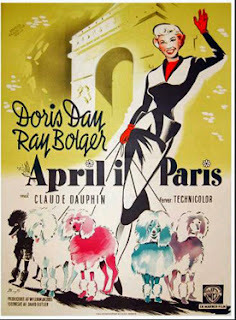 Well, April in Paris isn’t too bad either! As a matter of fact, April might be preferable. Read a WHOLE book . I’ve been dying to read “Perlmann’s Silence” by Pascal Mercier. 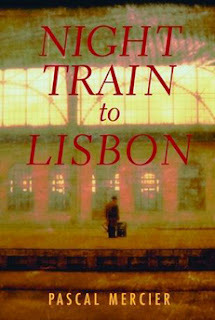 I loved “Night Train to Lisbon”, also by Pascal Mercier. A beautifully written novel that I couldn't put down. Honestly, it’s one of my favourite books of all time. Of course it may just have been my mood when I was reading it. You might like it, you might not. It’s a thick one so you should probably buy it on Kindle to save lugging the weight around. I’d give it a 9.9 out of 10 (I'm saving 10 just in case I read something I like better). Of course other people have given it a 3. So, try it if you want. If you don’t, it’s no big whoop to me. It probably matters to Pascal Mercier. While writing this I just learned the book was made into a movie this year. Maybe seeing the film would be easier than reading the book if you don’t have time. Of course I don’t know if the film is a bomb or not…..well anyway, I loved it. The book that is. What else will I do on vacation? Work a bit on my web site which I haven’t updated for a year or so. Do a bit of painting and collage work if the mood strikes me. I’d do it in bed but paints can be kind of messy. Maybe even write a few posts and get back in the swing of things. Yup! Big plans for this vacation. I can hardly wait! The vacation before the vacation sounds wonderful as well. Staying up late and sleeping in would be a treat and truly nothing is better than loafing around. I will have to read the Night Train to Lisbon. Invariably the book is always better than the movie. I'm very very VERY ready for some R & R. I'll have some time to think about Paris! :) YAY! it’s a city full of life and to live in its centre is become part of this life. Some call Paris the most romantic city in the world but there is much more to see and feel in Paris apart from romance. Recently we planned a trip to Paris, every thing including Paris apartment was booked but due to some issues we have to cancel it. I hope you get to go to Paris soon Ross. Paris is perfect any time of year. Maybe your trip isn't cancelled.....just postponed. I hope so.